Nothing interesting. That's what Facebook resubmitted yesterday. The special event social network promised to show something "they were building" and it was. But again, Facebook has been rebuilt many expectations around a mere novelty that has garnered little interest from the press and users. The social network is becoming very "Google" in it to generate much attention around an event and then disappointed. Something that does not suit you at a time when the platform through a decrease in the activity of users and is facing criticism for its poor management with social network Instagram. Yesterday Facebook internal search engine showed us that many were quick to baptize as "competitor to Google." But let's face it, the invention entitled Graph Search, is unlikely to take ground to Google, even though Facebook has affiliated with the Microsoft search engine, Bing. Graph Search will help us to meet our friends up close and personal tastes. For example, if you are planning a trip to Los Angeles and want to know if a friend has visited the Californian city, looking at Graph Search "friends who have been in Los Angeles." The same happens when we want to find a restaurant in town: we turn to Graph Search to see what restaurants were our friends. 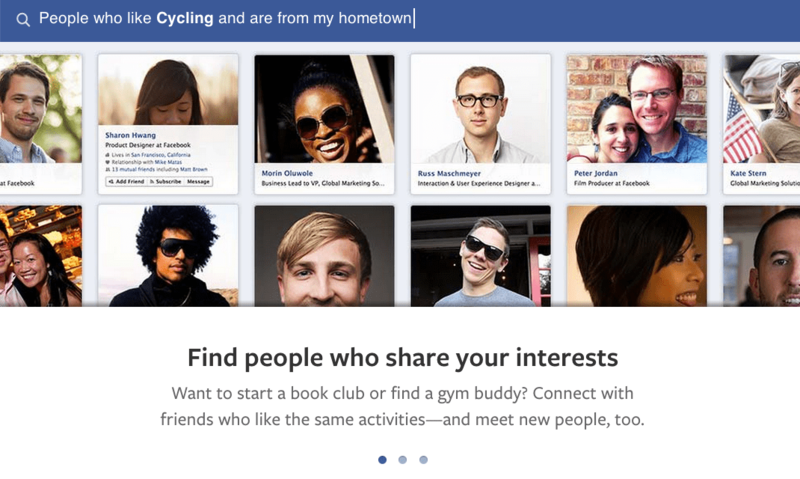 The search will also serve to meet other users of Facebook who share our tastes or with whom we have something in common. In short, this is a very useful invention for those who use Facebook frequently and do not stop narrate their lives through the 'check-ins' in the social network. But for those who prefer to keep their profiles more private, Graph Search simply will not fit. The search appears to encourage us to be more involved in the social network and interact with our contacts and new people. The taste after the event: negative. Hoped announcements of greater magnitude, such as improvements in applications for iOS or launching Facebook Messenger for iPad. But nothing. Neither that, nor confirmation of rumors as major mobile operating system Facebook or even the announcement of its own smartphone, rumors increasingly gain more strength. If you want to try Facebook Graph Search, you can request an invitation through their official website . The article 's disappointing Facebook event has been originally published in News iPhone .